Game. Set. Match. 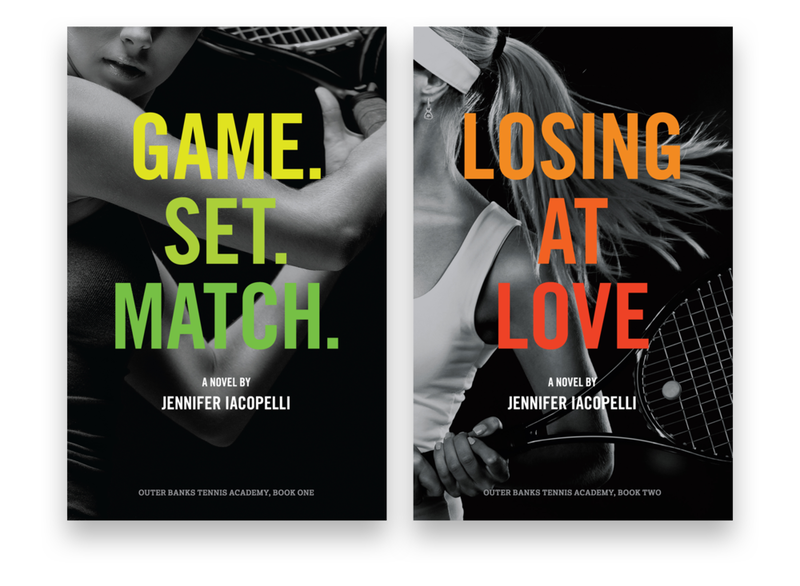 and Losing at Love are the first two titles in the Outer Banks Tennis Academy trilogy by Jennifer Iacopelli. Game. Set. Match. was originally published by Coliloquy Publishing in 2013 as a digital edition only. But as a life-long book lover, Jennifer knew she wanted to be able to see her work on paper and on her shelf. I was commissioned to design covers for a print-on-demand run of the book, as well as for its then-upcoming sequel, Losing at Love. 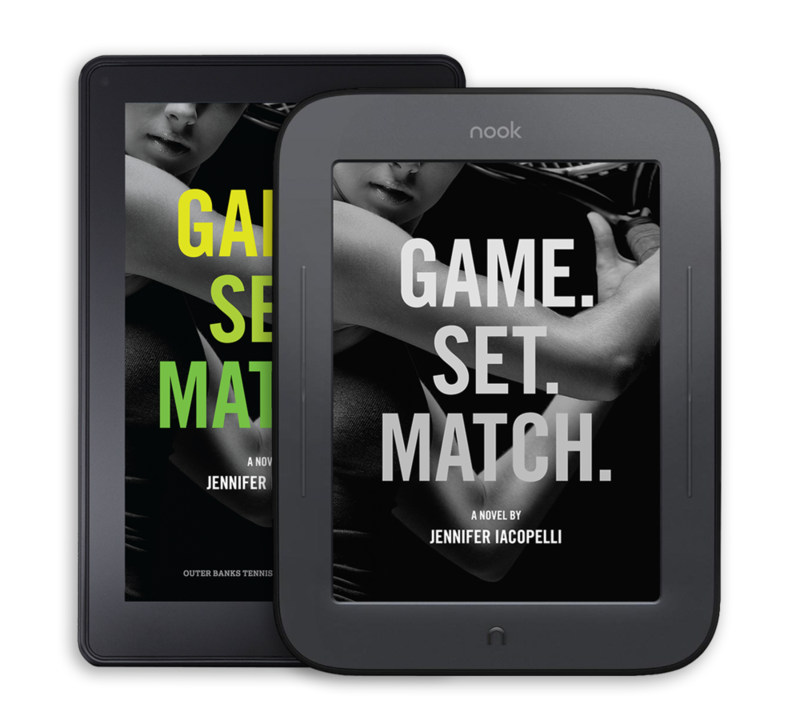 The print covers were a hit with author and publisher alike, and were ultimately adopted for the digital editions of both titles as well. The Outer Banks Tennis Academy books are available for purchase from Amazon and Barnes and Noble in both print and eBook formats.